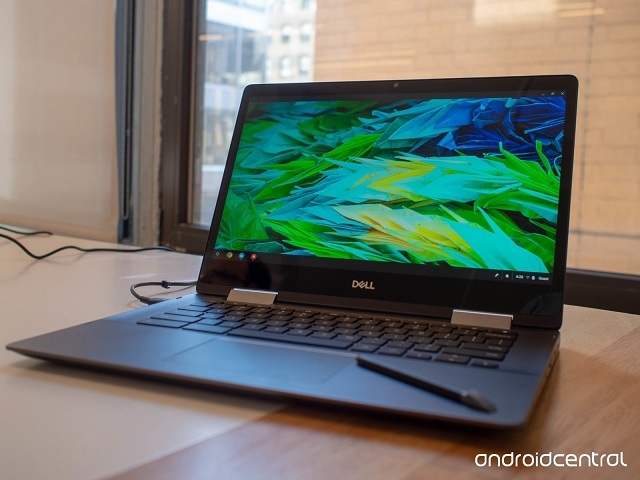 The Dell Inspiron Chromebook 14 is the latest Chromebook and perhaps one of the best Chrome OS-powered laptops to buy in 2019. 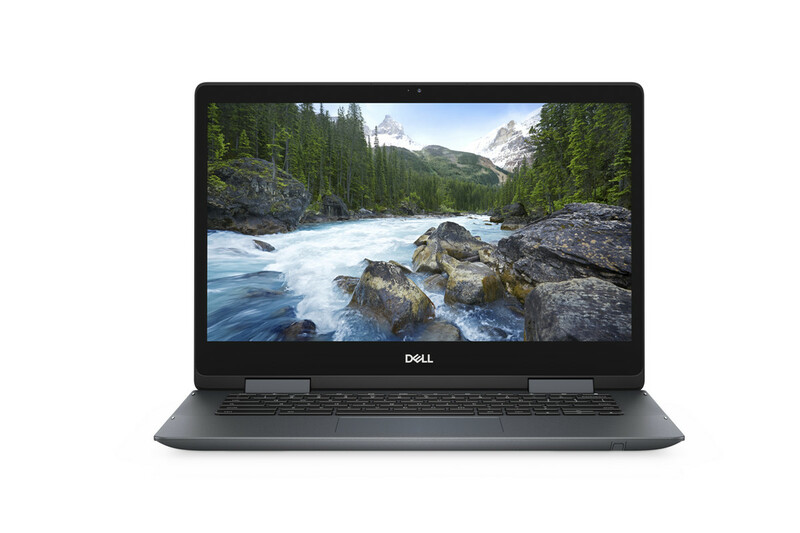 Compared to previous versions and variants of Chromebooks from different manufacturers, this one from Dell brings onboard powerful innards embodied in a sleek aluminum body convertible to a tablet, stylus pen support, and a brilliant 14-inch 1080P display. 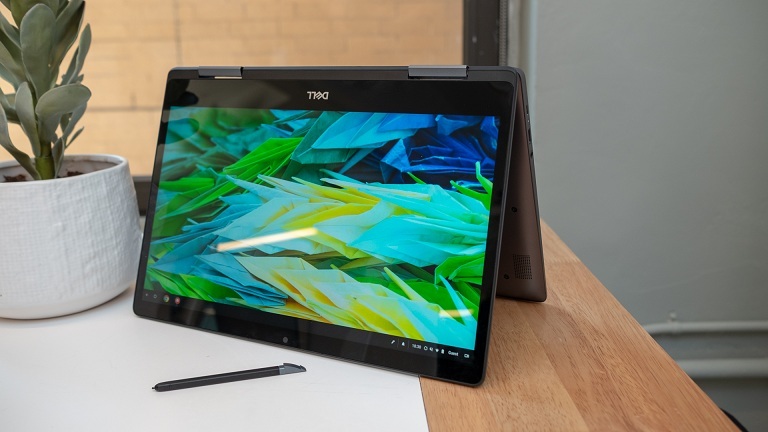 And albeit the Inspiron 14 is pricier than older Chromebooks, it sports features that justify the $599 price point — latest 8th-Gen Intel Core i3 CPU, backlit keyboard, decent storage and memory configuration, as well as its form factor. Available in only Urban Gray color variant, the Dell Inspiron Chromebook 14’s entire body (except the keyboard, of course) is made of a finely-polished aluminum chassis. And regardless of the device is being used as a laptop or tablet, the device is bulky and isn’t particularly lightweight (at 1.81 kg). The rear of the device isn’t exactly exciting either; there a Chrome logo at the top-left corner of the lid and at the center, the Dell logo. The aluminum body adds aesthetic points to the device as well as a bit of ruggedness. The device’s stylus pen is stowed in the device. Alongside the device’s loudspeaker, you’ll find the pen storage at the front-right side at the bottom. The location of the pen’s storage is decent as it allows easy access to the pen. However, I do not understand why Dell chose to embed both speakers of the device at the bottom; when used as a laptop, audio quality will be greatly affected as sound will bounce back to the surface the Chromebook is placed and lead to some sort of audio distortion. Port selection on the Inspiron Chromebook 14 is decent and are evenly distributed to the left and right side of the device. A USB v3.1 Gen 1 Type-C port, micro SD card slot, power button, and volume adjustment keys are housed on the right-hand side of the device. The volume rocker is a great addition, particularly for users who would use the Chromebook mostly as a tablet. On the left-hand side: a full-sized USB 3.1 Gen 1 Type-A port, a second USB 3.1 Type-C port, and the 3.5mm headphone jack. Another interesting feature of the Dell Inspiron Chromebook 14 is that both USB-C ports on either side can be used to charges the device. While the chiclet-style keyboard will allow for a smooth typing experience as it comes with decently sized and spaced keys, the key press/travel is equally like that of any Chromebook. For a more convenient typing experience (especially at night), the keyboard of the Inspiron Chromebook 14 is backlit. However, being a Chrome OS laptop, the keyboard lacks some keys (Windows key, Caps Lock, F-Keys etc.) you might have been used to on Windows laptops and tablets. Also, letters on the keyboard are in lowercase — this isn’t entirely a serious issue but it might feel weird to use at first, particularly if you have used uppercased keyboards for years. The trackpad, on the other hand, is spacious, has a smooth surface, and clicky. Coming with a Full-HD (1,080 x 1,920 pixels) IPS “TrueLife” LED panel, the 14-inch display will produce brilliant and accurate colours and impressive image quality. However, despite the 270 nits brightness, the glass covering on the display is reflective, which may give you a hard time using it outdoor under sunlight. The display bezels are somewhat large but the 14-inch size of the display is great for productivity, either in tablet or laptop mood. The display works smoothly with the default stylus but will also work with any standard Electromagnetic Resonance (EMR) stylus pen. Interestingly, when you detach the built-in stylus pen from its base at the bottom of the Chromebook, the device automatically opens up the pen options on the display. The pen (icon) options are at the bottom-right of the display and allows users perform actions like capturing the whole display, creating Notes in Google Keep, capturing a portion of the display, use the pen as a laser pointer etc. Powered by a 15W dual-core 8th-Gen Intel Core i3-8130U processor with four threads and built on the Kaby Lake architecture, the Dell Inspiron Chromebook 14 will handle your daily runnings without lag. It also runs on the Chrome OS which allows you install and use Android apps without missing out on the laptop experience. You might, however, not be able to use heavy laptop apps though. Storage-wise, there is only one available configuration of the Dell Inspiron Chromebook 14: with 4GB DDR4 RAM and 128GB of eMMC storage. You can expand the storage by using the micro SD card slot or external drives via the USB Type-A and Type-C ports. The Dell Inspiron Chromebook 14 comes with a built-in 56WHr battery which Dell advertised as capable of supplying up to 15 hours of battery life. However, since battery life depends on a couple of varying factors like brightness level, usage intensity etc., you should expect 8-10 hours of battery life. Originally, the asking price of the Dell Inspiron Chromebook 14 is $599 but it is possible to get the 2-in-1 Chromebook at a deal price as low as $450.